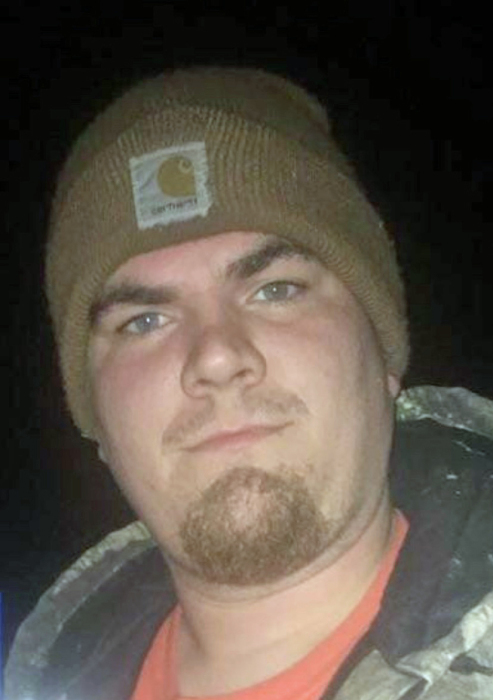 Codey Ryan “Tater” Tate, 25 Years, of Bluford, Illinois passed away on August 21, 2018. He was born February 14, 1993 in Mount Vernon, Illinois to William Robert Tate and Tammara Lowe. Codey is survived by his mother, Tammara Allen and significant other, Jeff Lyell of Bluford, Illinois; father, Bob Tate and wife, Patty of Mount Vernon, Illinois; brother, Robert Tate and wife, Lakin of Mount Vernon, Illinois, A.J. Tate of Mount Vernon, Illinois; step brother, David Jay of Mount Vernon, Illinois; step sisters, Candance Broadway of Mount Vernon, Illinois; Danielle Jay of Mount Vernon, Illinois, Brandy Jay of Ina, Illinois; Kalley Jay of Mount Vernon, Illinois; former wife, Jordan Carr of Mount Vernon, Illinois; grandparents, Marcia Kretzer of Centralia, Illinois; Gary Odle of Mount Vernon, Illinois, and Nancy Botke of Holt, Michigan; aunts and uncles, Rob Lowe and wife, Heather of Mount Vernon, Illinois, Misty Martin and husband, Jimmy of Ina, Illinois, Terri Gowler and husband Tyson of Salem, Illinois; Mike Tate and significant other, Angie of Smyrna, Michigan, Lisa Felice and husband, Brian of Holt, Michigan; niece, Jersie Tate; numerous cousins; and fur babies, Titus, Kiya and Thor survive. Codey was preceded in death by his grandfathers, Herschel Tate and Gary Kretzer; close friends, Ryan Burris and David Sloan. Codey enjoyed riding four wheelers. He loved his trucks, family, friends, and fur babies. He will be missed greatly by all who knew him. Codey is flying high with Ryan and David. Your family knows you’re watching over them. Visitation: 5:00 P.M. until 8:00 P.M Thursday, August 23, 2018 at Hughey Funeral Home in Mount Vernon, Illinois. Funeral Service: 1:00 P.M. Friday, August 24, 2018 at Hughey Funeral Home. Interment: Oakwood Cemetery in Mount Vernon, Illinois. Memorials:May be made to the Tate family, In care of Tammara Allen.